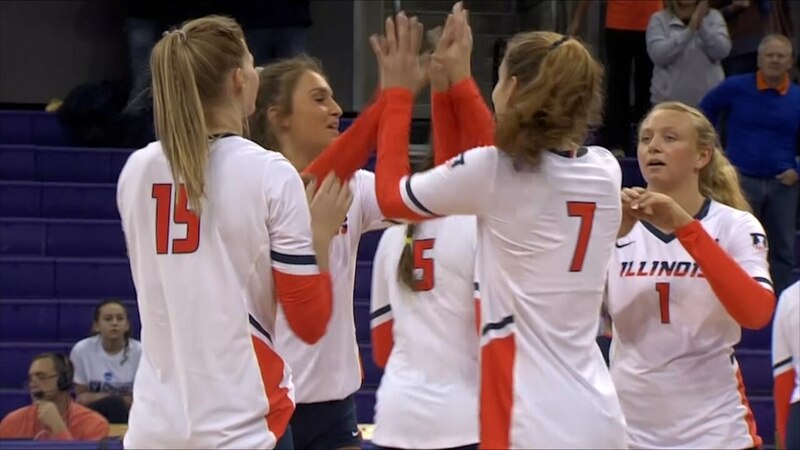 WACO – In what is believed to be a victory over the highest ranked opponent in NCAA Division I program history, The University of Texas Rio Grande Valley (UTRGV) volleyball team upset No. 15 Baylor 3-2 (25-14, 26-24, 16-25, 20-25, 15-10) on Saturday at Ferrell Center. This is UTRGV's (6-4) second-straight win over Baylor (5-3), who knocked off No. 2 Wisconsin on Friday. This is UTRGV's third win over a current or former Big 12 institution and second since the NCAA started sponsoring women's championships. Junior Barbara Silva led UTRGV (6-4) with a career-high 21 kills on .410 hitting, 12 digs and six blocks for her third double-double. Senior Ragni Steen Knudsen also added a double-double with 11 kills and 10 digs. Senior Antonela Jularic recorded 10 kills with five digs. Senior Dubravka Vukoja dished out a season-high 46 assists with six blocks. Senior Gysell Zayas added 26 digs. Senior Alexandra Ecker recorded a match-high eight blocks with six kills on .353 hitting and five digs. Yossiana Pressley led Baylor with a match-high 29 kills. Shelly Fanning recorded 16 kills and five blocks. Aniah Philo posted a double-double with 10 kills and 13 digs. Hannah Lockin recorded a match-high 56 assists. UTRGV jumped out to an early lead in the first set as a Jularic kill made it 3-0. An ace by Silva pushed UTRGV's lead to 10-4 before a Knudsen kill made it 17-7. Baylor never got closer than six the rest of the way. In the second set, UTRGV jumped out to the early lead by winning six out of the first eight points before Baylor battled back to tie the match at seven. The set went back and forth with 13 ties four lead changes. Neither team took a two-point advantage again until, with the set tied at 24, a kill by Silva and a Baylor attack error gave UTRGV a 2-0 lead in the match. After Baylor won the next two sets, Baylor took a 2-0 lead to start the fifth set. UTRGV rallied with four-straight points, capped by a Jularic kill, to take the lead for good. A kill by Knudsen pushed UTRGV's lead to 10-5. Baylor got within three at 10-13 before a Knudsen kill and an attack error ended the match. UTRGV is back in action on Tuesday when it hosts Texas A&M-Corpus Christi as part of the South Texas Showdown, presented by Navy Army Community Credit Union, at 7 p.m. at the UTRGV Fieldhouse.